This line, striking northwest from Hanoi, terminates at the border town of Lao Cai. From here it is a straightforward run up to the hill station at Sapa -- one of northern Vietnam's most popular spots. Most of the trains run at night, and, somewhat strangely, different cars are owned and run by different companies, meaning while you're all on the same train, the quality of service and comfort can vary considerably. There are three night trains and one day train every day between Hanoi and Lao Cai. 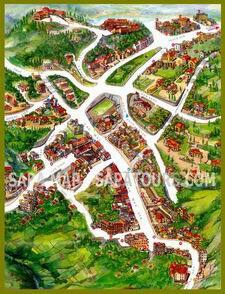 From Lao Cai it is a straightforward undertaking to get to Sapa. The vast majority of travellers opt for the night train as it saves on the cost of a night of accommodation and the day train offers only hard and soft seats. The night trains offer all the available classes, though, just to complicate things, there are also a number of private cars which may be attached to your train. Private cars include Fansipan, Friendly, King, Pumpkin, Royal, Tulico...but there's precious little to separate one from another. The exception is the Victoria service, which is a good deal above any of the others, but is available only to guests of the affiliated Victoria Sapa Hotel. This is the most comfortable class and comes with surprisingly soft beds in a four-bed configuration, with or without air-con. Unlike hard sleepers, these compartments do have a door so are considerably more secure.